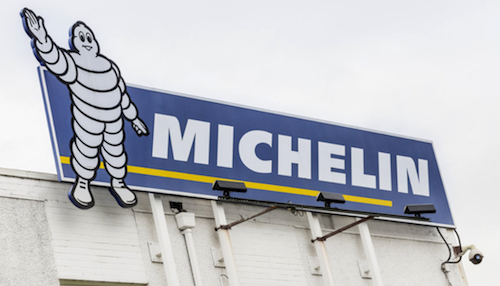 Michelin announced on Monday its intention to close its Dundee site — which employs 845 people — in 2020. The Dundee site opened in 1971 and manufactures 16-inch and smaller Michelin tyres for cars. In a statement, Michelin said: “Despite the group’s continuous efforts, and the factory employees’ dedication to making the site economically sustainable through the implementation of several action plans – €70 million has been invested in recent years to modernise the site – the accelerated market transformation has made the plant unsuitable and its conversion is not financially viable. The Scottish Government’s Economy Secretary Derek Mackay said: “This will be devastating news not just for those who work at the Michelin plant, but their families and the whole of the city of Dundee. “My immediate priority is on trying to find a sustainable future for the site, that will protect jobs and I will leave no stone unturned. “I will be in Dundee on Tuesday and hope to meet with representatives of the workforce, the city council and the management team to discuss whether there are viable options for the future of this site. “I was informed at the end of last week of the possibility of closure and immediately sought discussions with the senior management team at Michelin. The union Unite Scotland said: “The workforce can be assured Unite will fight tooth and nail to save our factory, we will leave no stone unturned to keep this factory open.